I have waited as long as I can stand. It's time to start the Halloween crafting. I spent the summer doing demos for I Love to Create across Austin tie-dying shirts. I'm a bit of a pro now. Anywhoo, I have several large T-shirts lefts. I have been dying, cutting, revamping and more. 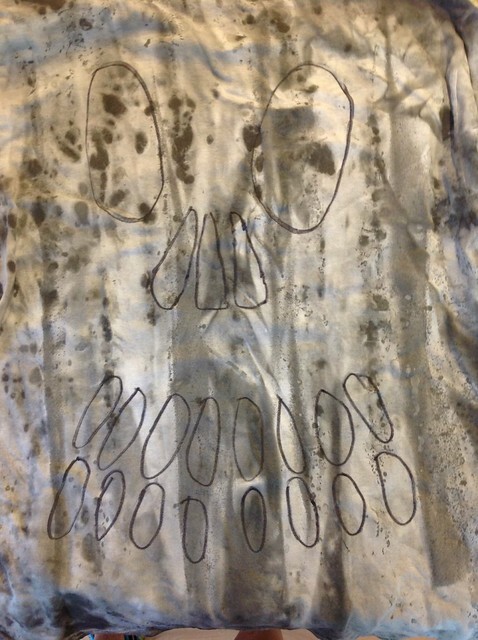 My latest creation - a skull T-shirt. 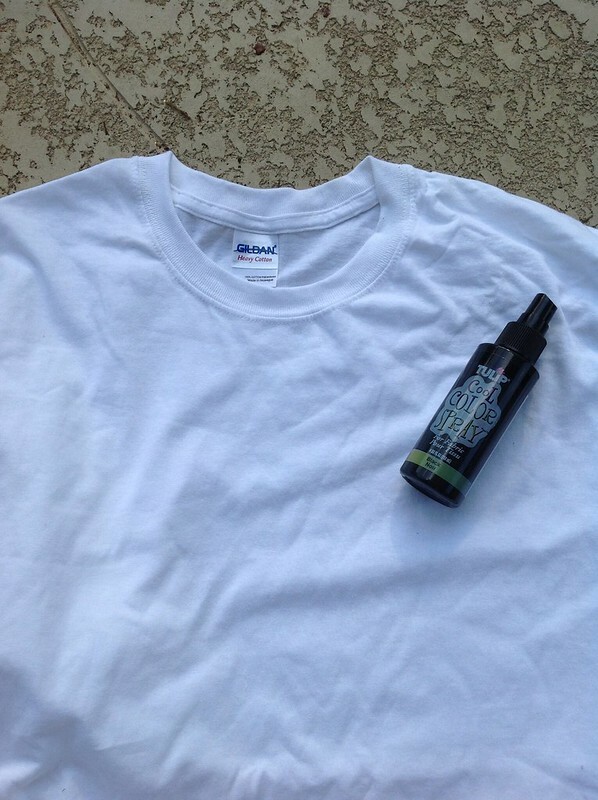 Lemme show you how easy and cute this T-shirt is. The first thing I did was dye my shirt. 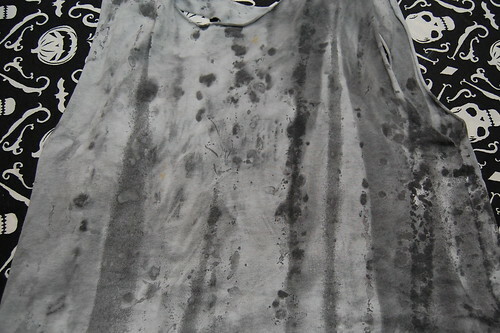 I was spicing things up a bit so I sprayed and splattered my black dye onto a dry shirt. I let the shirt sit overnight and then I washed it. I wanted a kinda spooky effect and I think I got it. When my shirt was dry I cut off the sleeves and cut out the neck. A plain men's large shirt is kinda dumpy as is. Next I followed a video tutorial by LaurDIY to draw a skeleton face on the back of my shirt. 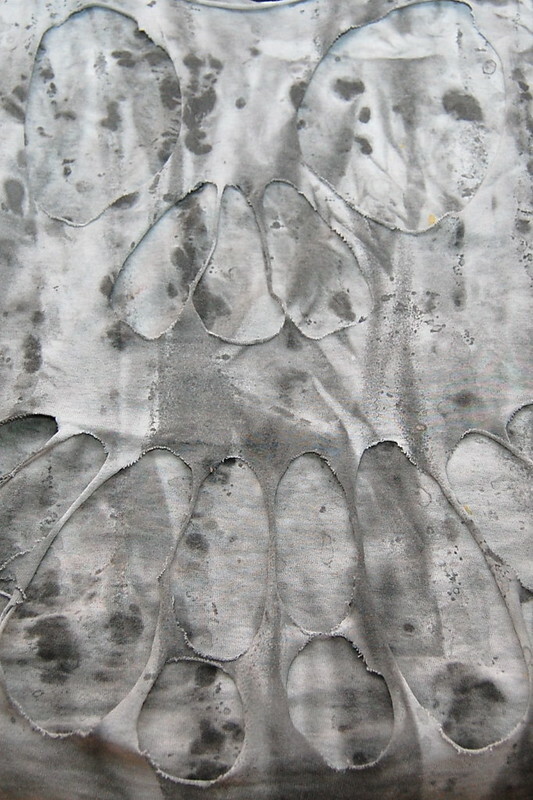 Once the image was cut out I gently tugged on the T-shirt strings between the skulls teeth and nose. I have been wearing my new shirt to work out in. I like the way it looks with a sports bra. If your brave wear it with nothing underneath. If it's cold pair it with a solid black undershirt. So many options and I kinda love them all. Want more Halloween skull action? Check this out. This is wicked cool. Love it. Просто удивително, много добра идея... мисля да я ползвам за направата на детски костюмчета. Поздрави от мен и Чехия.